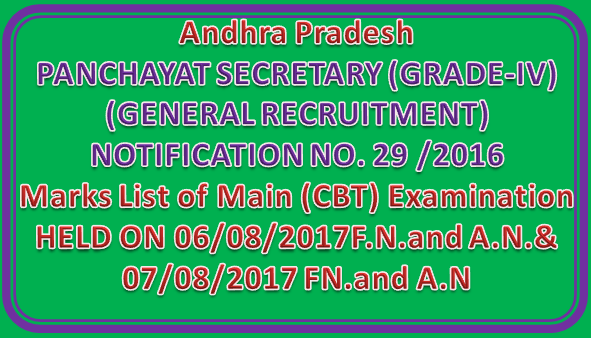 It is hereby notified that on the basis of Main (CBT) Examination held on 06/08/2017F.N.& A.N.,and on 07/08/2017 FN& A.N. at 13 districts of A.P. and Hyd, for the post of Panchayat Secretary (Gr-IV) vide Notification No. 29/2016. The Marks List of the candidates with the following Register Numbers district wise.